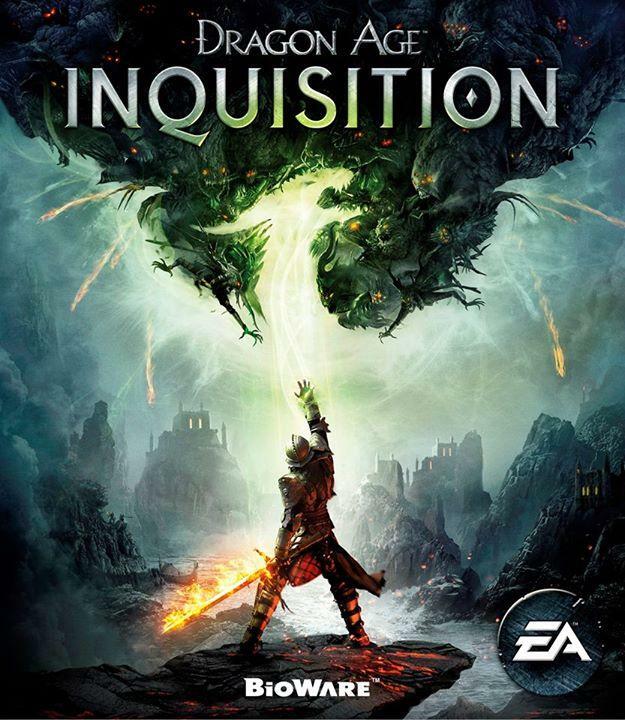 PREVIOUSLY ON INQUISITION DIARIES: After rescuing the mages from the misguided Tevinter magister, Alexius, Lerenne successfully closes the breach that killed almost everyone at the Conclave. Yay! Game’s over! What’s that Cole? Timmy’s stuck in the Chantry well? A desperate knock at the Chantry door reveals what happened to the templars when a young man named Cole, the final companion, arrives to warn of a pending attack. Turns out, the Elder One wasn’t happy with Lerenne thwarting his plans with the mages, so he went after the templars instead. He has corrupted them with red lyrium and bolstered this army with lyrium infused demons. The battle for Haven ensues. Lerenne and her party attempt to rescue as many villagers as possible as they make their way to the trebuchets. After a skirmish with a big templar/demon, Lerenne manages to bury much of the army in an avalanche, but that surely isn’t enough to stop the Elder One. Nope. It’s not. Cuz he has a pet archdemon. Backstory: In the DA2 downloadable content called Legacy, Hawke, the main character, is lured into a trap to release Corypheus, the first darkspawn, whom she then kills. 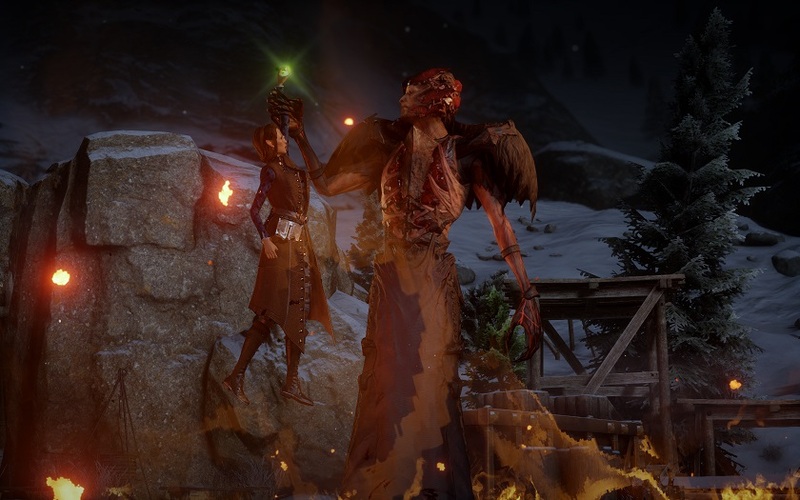 But apparently, one does not simply kill the first darkspawn. The problem with this is that not everyone would have played Legacy, since DLC is optional. 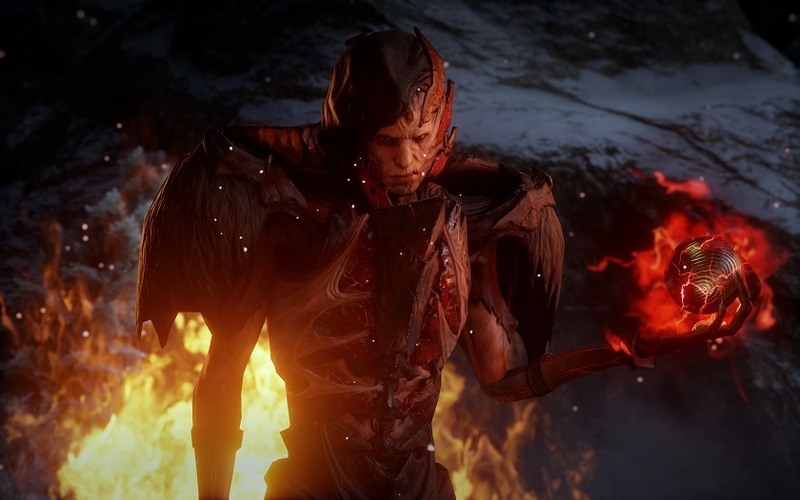 In order to justify Corypheus’ existence in DAI, Legacy should have been part of the actual game, which is a big complaint I have with BioWare’s other major series, Mass Effect. There, the Mass Effect 2 DLC Arrival and Lair of the Shadow Broker have great significance in Mass Effect 3. 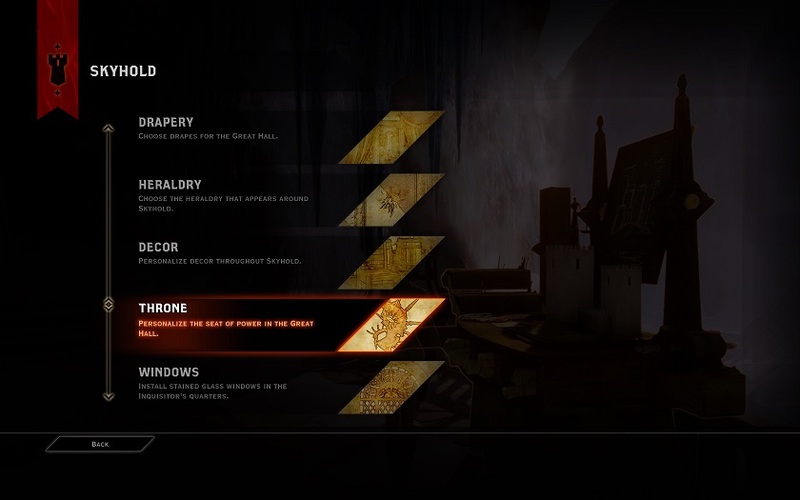 You don’t *have* to have played these DLC to comprehend what is going on, as things are explained, but again, the significance of the events implies that they should have been part of the main story. In spite of this complaint, I will forgive BioWare for re-introducing Corypheus. I don’t believe they had that intention when they originally created him, but it’s working for the story now. In fact, DAI is helping me to appreciate or at least better accept aspects of DA2, especially if I simply go with the knowledge that DA2 is a story as told by Varric Tethras, a storyteller who is out to protect his friend, Hawke. 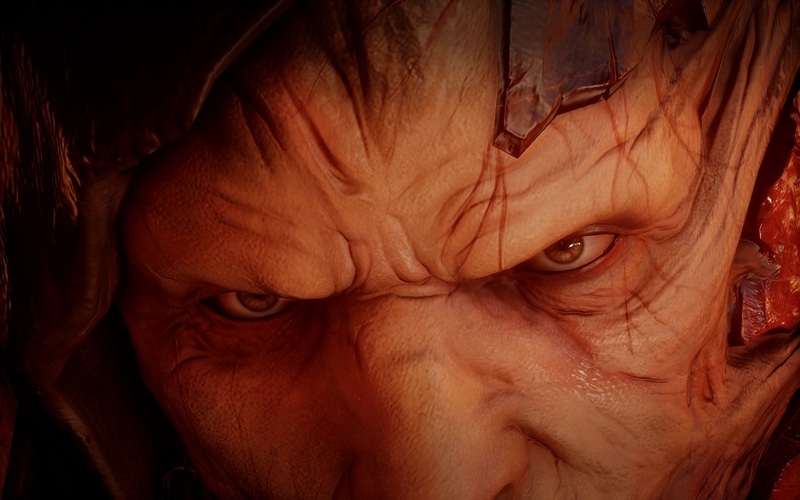 As with any story, it all comes down to the eye of the beholder, and since Varric is also known to embellish and omit as the story requires, a lot of problems in DA2 could be chalked up to the unreliable narrator syndrome. DAI addresses this, not just in direct reference to DA2 events and characters, but in reference to much of the beliefs of the various people. Corypheus’ existence reveals that it truly was the Tevinters who caused the Blights with their arrogance, something that they have been mostly able to deny simply through ignorance. 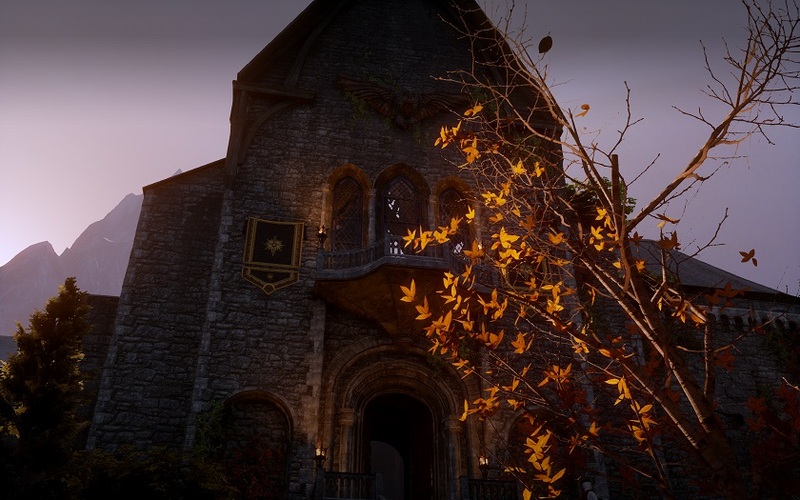 Dalish believe themselves to have simply been conquered and enslaved by humans, but with much of elven history lost, there are many pieces that the elves are missing. Back to the remaining trebuchet, Lerenne and her party fight through demons and red templars, led by Samson, and come face-to-face with Corypheus himself, who apparently just wants to play catch. Actually, he wants that mark, which he refers to as an anchor, and blames Lerenne for messing up his entire plans to rip open the veil to access the Fade and become a god. (Frankly, I’d be pretty pissed too). Faced with an all-powerful darkspawn and an apparent archdemon, things seem hopeless for Lerenne, but fortunately, that mark just won’t let go. Share the mark, Inquisitor. Share. Lerenne recovers enough to launch the trebuchet and bring down an avalanche on Haven itself. 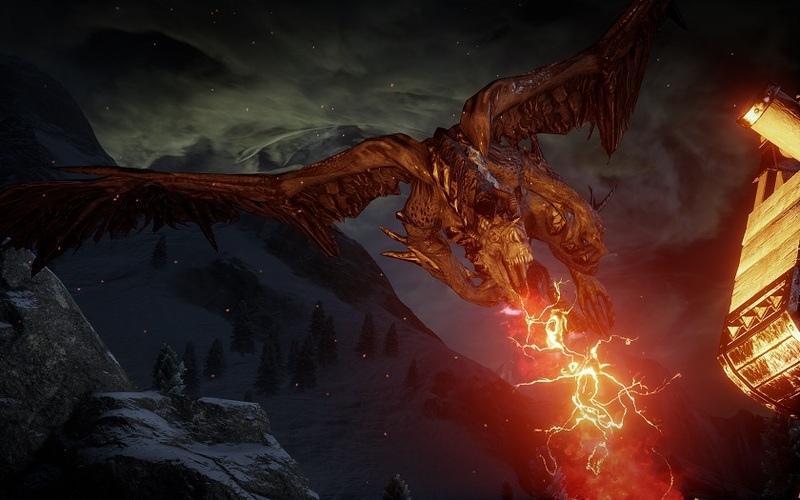 The archdemon escapes with Corypheus in claw. Lerenne struggles to follow what she hopes is the path the refugees followed, collapsing just as Cullen and Cassandra find her. When she wakes later, Mother Giselle is at her side, and her council are arguing over what to do next and blaming each other for the mess. Spirits are low. Mother Giselle always has guiding words to offer Lerenne, but when even those fails, she begins to sing, summoning all the feels in an emotional moment that is very reminiscent of Pippin’s song in Lord of the Rings (the similarity is likely intentional, as BioWare often references many things within their games). Soon enough, the entire refugee camp has taken up the motivational song, and just in case my resolve had not been properly bolstered and by this poignant moment, the game crashed and forced me to replay this scene twice more. 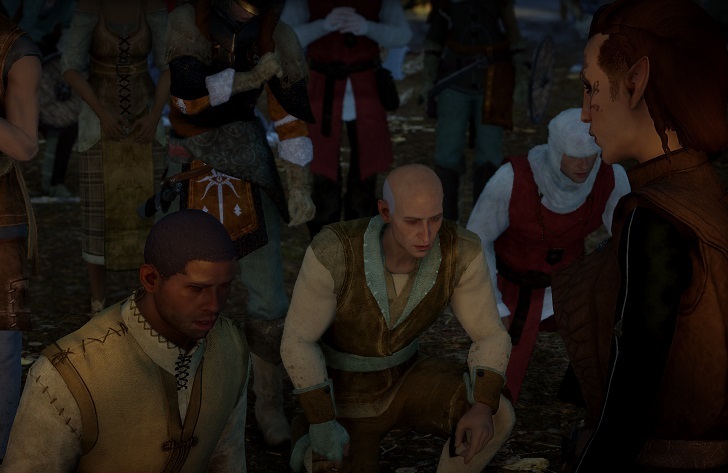 The song ends with the people kneeling before their reluctant Herald, but Solas, who didn’t join in on the “Singquisition,” is troubled. 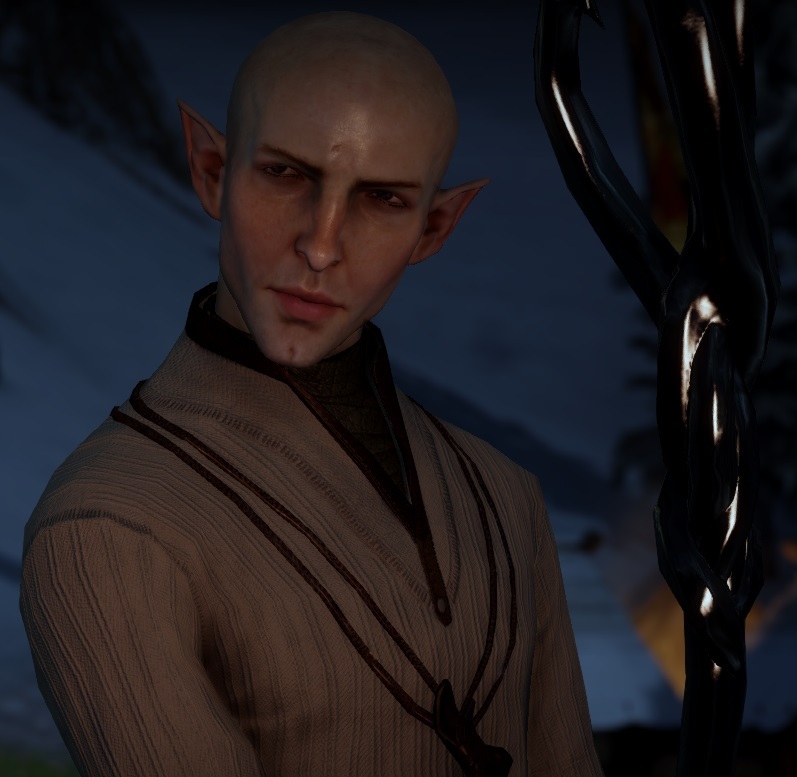 Oh come now, Solas. Couldn’t you drop a mad break beat first before bringing the bad news? Turns out he recognizes that ball Corypheus was holding as an elven artifact and is concerned that the people will lash out against the elves if and when they find out. Lerenne agrees that, as elves themselves, they must work even harder to uplift the elves as the leaders of the Inquisition, before the truth can tear them down. Solas then encourages Lerenne to guide her people to the north, where there happens to be a great big empty castle, just waiting to be occupied. OMG CAN I DECORATE SKYHOLD WITH CURTAINS AND FURNITURE AND GARDENS? 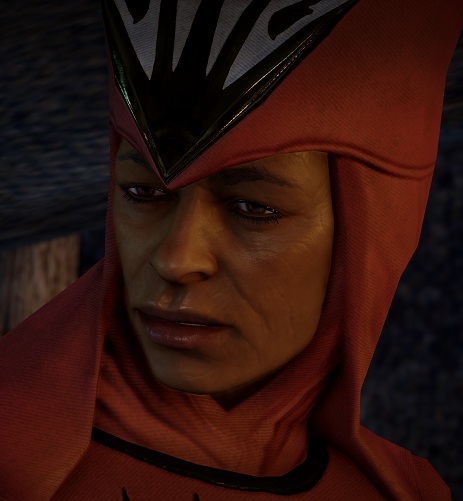 Cassandra calls the Herald over and speaks to her about officially choosing a leader for this Inquisition – namely, the person who has been leading it all along. Leliana waits with symbolic sword in hand, while a crowd gathers below. But Lerenne is still struggling with this. She does not want people treating her like some prophet to a god she doesn’t believe in. Cassandra, like Mother Giselle, points out that the people can and will believe what they need to in order to get them through these hard times, but more importantly, Cassandra adds, chosen one or not, Lerenne’s decisions and actions have brought them this far. The people will follow. 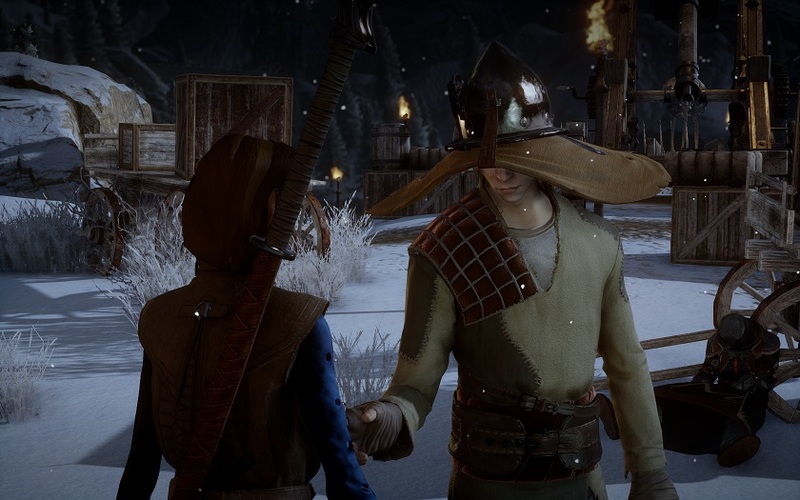 Lerenne accepts, and with a nod to Solas, gives some props to the elves she is representing.